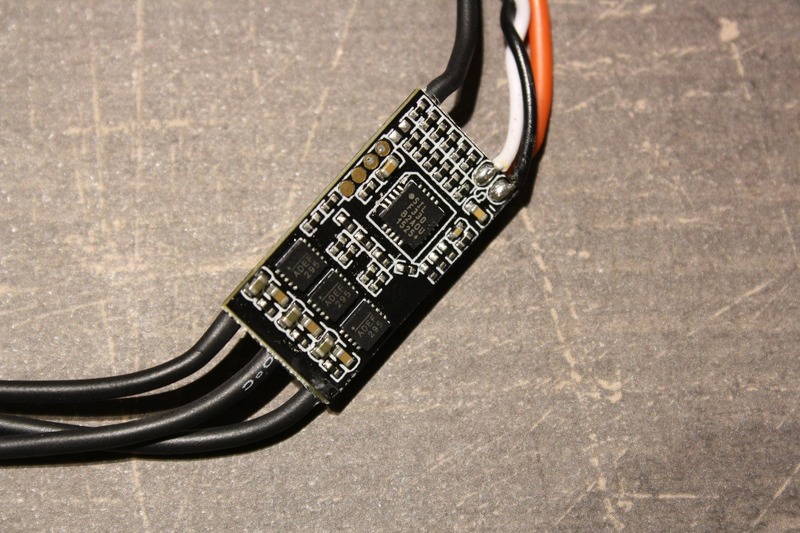 The FVT LittleBee 20A ESC a.k.a MRM Zeus are relatively new on the market, but already my Favorite. 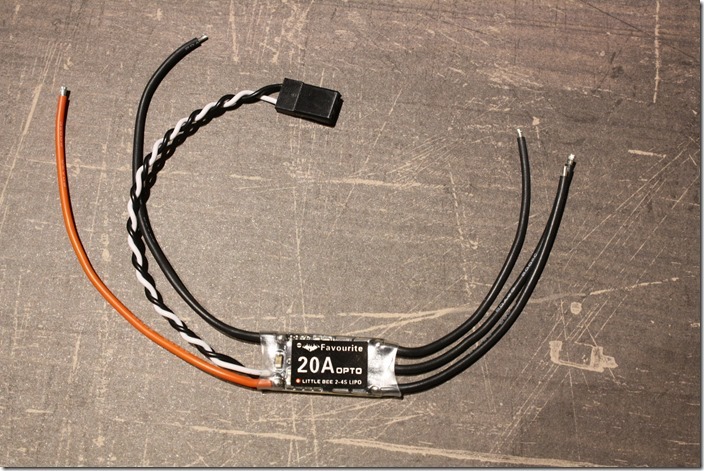 I have tested it with a T-Motor MN2206 2000kv with 6″ propeller. You can find the thrust results at the end of this article. The LIttleBee 20A is really small and light weight ESC, which makes it perfect for the 180mm and 250mm class FPV Racers. Only the XRotor 10A/T-Motor Air 10A have almost the same size, but also an additional electrolytic capacitor. 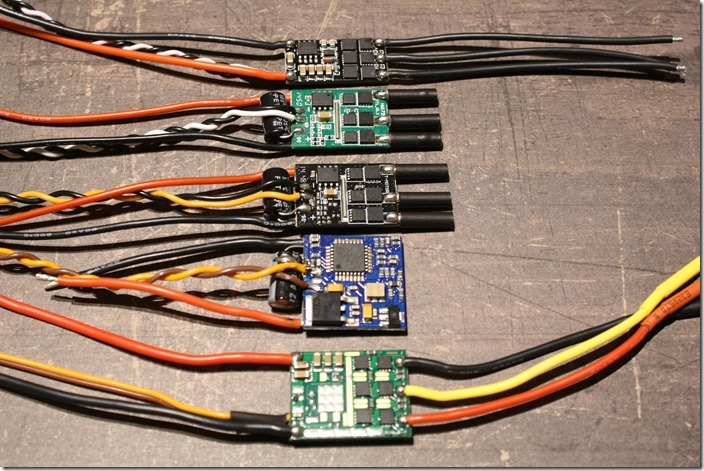 I don’t need to tell you much about the BLHeli 14 firmware, as it is one of the best for multicopters. 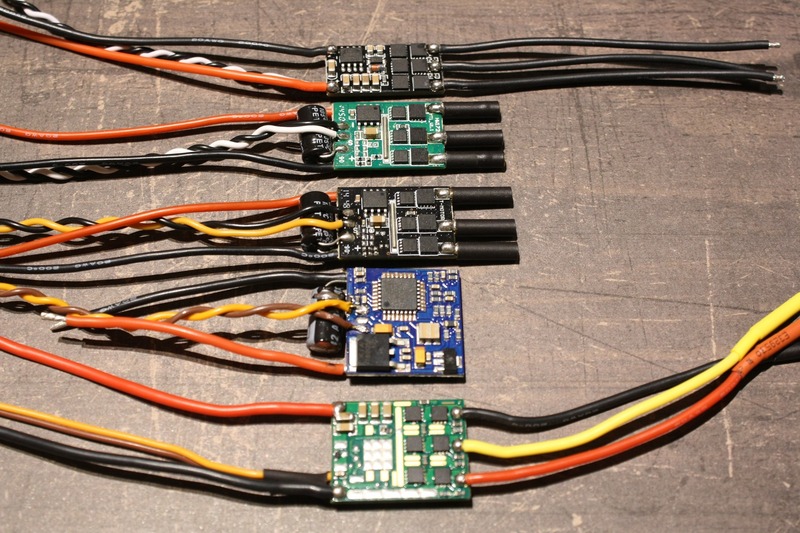 It supports “OneShot125”, which provide faster communication between the flight controller and the ESC. Damped Light can be easily enabled through the BLHeli Suite software. On the back you can see the SiLabs F330 MCU and the MP1907 gate drivers. It is better to have gate drivers, and not using the combination of N-FET und P-FETs. On the front you can see the AON7418 N-FETs (DYS SN20 ESCs use the same). The voltage regulator is UTC LP2950. 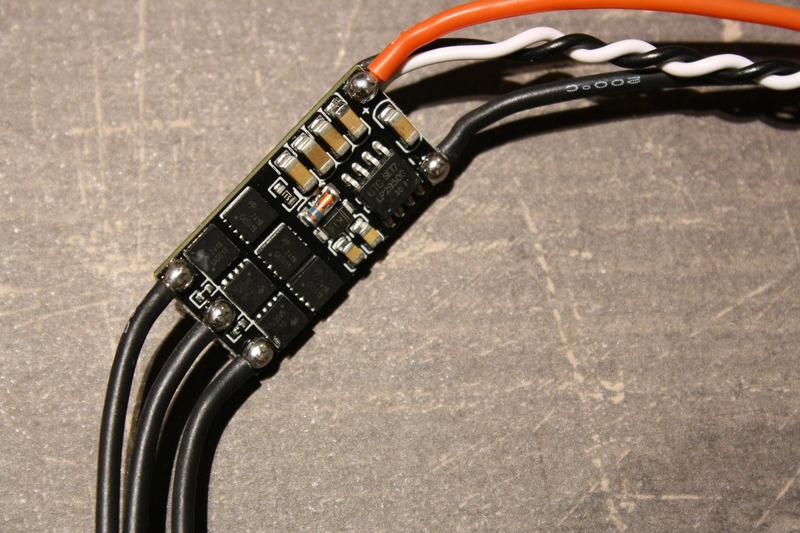 Strange but on two different ESCs I found one regulator outputting 3V and one 3.3V. Both the FETs and the voltage regulator are rated for up to 30V. Note: Do not use the ESC with a 6S LiPo battery. I have tested it and burned the voltage regulator and the SiLabs MCU. I got almost the same results with the XRotor 15A ESC, but the performance of the LittleBee’s is much better regarding the active breaking. Conclusion: I think the FVT LittleBee 20A are technically awesome. 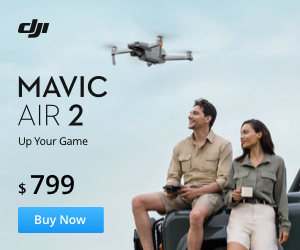 But in my opinion they are bit overpriced. I bought my ESCs from Multirotorparts for 15.50$, but you can also find them on Banggood or a full set on Gearbest.